Morgan James Publishing, 9781683503798, 128pp. We go through life negotiating multiple times a day. However, very few of us have been taught the necessary skills to successfully manage every moment. Instead, we spend our waking life focusing on multiple things that might not help us reach our desired goals and experience restless nights still trying to solve issues from the day. 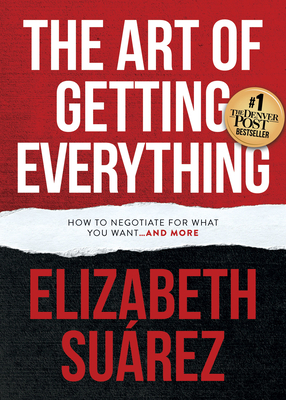 In The Art of Getting Everything, author Elizabeth Su rez equips the reader with the necessary tools to identify, endure, and achieve success in one's personal and professional life. She guides the reader through real-life examples and highlights specific issues common to professional millennials and then constructs a path for achieving the easy wins.